Post by Shirley Price Aromatherapy College. The 2014 Training Program, Course dates, Skincare workshops and Aromatherapy Diploma with Jan Benham and Sue Jenkins. Overall Aim of the Shirley Price Aromatherapy Diploma course. General Learning Outcomes of the course. Knowledge and Understanding (theory) Outcomes. Aromatherapy from a historical and philosophical perspective. aromatic materials safely, in a range of therapeutic treatments. factors which may impact upon Aromatherapy as a therapeutic intervention. human body in relation to a range of body work techniques in Aromatherapy. and local perspective. Practice/Ability Outcomes. assessing the needs of the individual. development within the boundaries of client management. for chosen Aromatherapy treatment plans. sessions on 10 clients is required, totalling no less than 60 hours. Massage Practice. At least 5 full body massages on 10 clients is also required. The are 6000 alumni of the Shirley Price Aromatherapy Diploma. 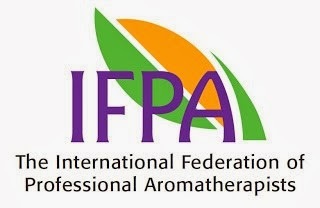 This FHT and IFPA accredited Level3/4 Qualification in Aromatherapy is held by authors, tutors and practitioners. It is one of the most widely respected qualifications in Aromatherapy. Training proceeds through 5 weeklong classroom modules over 10 months with self directed study and portfolio of case studies.